Full-time employment is being a dad! As a social worker (now stay-at-home dad), I have learned that I do not have the power to change other people’s belief system. I can talk to people about the benefits of fatherhood, reasons to put family first or parenting styles but I can’t change their values. I would be kidding myself if I believed otherwise. I write about parenting and my family because I belief that fatherhood needs good role models. In my opinion, fatherhood is the best EMPLOYED job a man can have. Recently, I made a simple tweet on twitter. I meant nothing out of the ordinary by that tweet except that I liked the quote and felt it noteworthy. I rarely place quotes on twitter but my son and I were listening to a Garth Brooks song on the radio, “Unanswered Prayers.” As I listened to the words of the song, I thought about the journey in having my son. It took us over 10 years to have a child. One of the lines struck a nerve, “Some of God’s Greatest gifts are unanswered prayers.” It reminded me that no matter how badly I might have wanted a child for all those years it was only going to happen when it was the right time (not a second before). I have learned no matter what your true intent is behind a tweet you can’t always make everyone happy. My one tweet turned into a full-blown confrontation that I refused to play with another tweeter. They asked about my beliefs on god, if I thought it was okay to stone a child and they ended our conversation by telling me that I was nothing but an unemployed father. The nice thing about being a social worker is I have a thick skin. I work very hard to accept everyone for who they are. I even told this other person that it didn’t matter what I believed. Ultimately that wasn’t an acceptable answer. As I have stated before, I am not an unemployed father. I have full-time employment with my son. My own son hasn’t even been able to fire me from my current job and he has tried to sent me to my room more than once. 1. 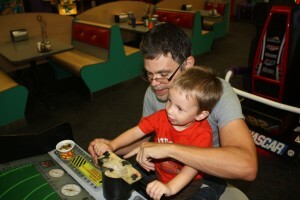 Unrivaled Competition – Being a father with full-time employment means that I compete with the Mickey Mouse Club. My son loves to watch Mickey Mouse and trying to get his attention while he is in the middle of a show is almost impossible. 2. Opportunities to Advance – Everyone would like opportunities to advance in a job. Being a father gives a man a very good chance to have the greatest promotion! Someday a father could become a grandfather. Sending a grandchild home is always a possibility (to torment their father) when you become a grandfather! 3. 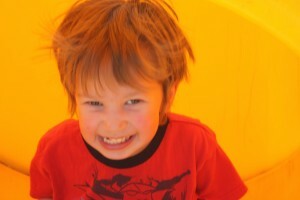 Creative Freedom – You abilities will broaden as a stay-at-home dad. you are able to create in new ways and explore your inner child. You will have many opportunities for creative freedom as a father, e.g., while working with clay, construction paper and glue! 4. Employee Support – When you finally have the perfect job of being a father you will want employee support. Full-time employment gives you the benefit of connecting with other blogging fathers and local support groups. 5. Personal Perks – Few jobs offer personal perk personalized for each employee. Fatherhood always thinks of father separately when developing personal perks. Recently, I was the lucky recipient of hug day, kiss day and love day (all in the same day)! A smile makes it all worth it! I am still a licensed social worker. I no longer work so I can take on the toughest challenge of my life, raising a child. Anyone that believes that fatherhood is not full-time employment is delusional. Most jobs give you a set job description and you know the rules of your work environment. Being a parent means your job description changes daily. I am the first responder to accidents, a master chef and personal teacher (and anything else that might come up). Being a parent or stay-at-home parent is a job with full-time employment. I don’t have an option to take personal vacations or of being disinterested in my son’s life. Fatherhood is the most rewarding job I have ever had. I want people to understand the idea of being a stay-at-home dad. Has anyone ever attacked you personally on twitter? How would or did you handle a personal attack? Tell me more in the comments about your thoughts on people trying to make it personal against you in social media. If you like this post follow me on twitter @dadblunders! Please share this post and help me spread the word that being a stay-at-home dad is full-time employment!! « it is 2am why am I still awake? Thank you for liking my article enough to ReBlog it on your site. As you know I am full-time stay-at-home dad that understands the value of being a father. It’s one of the main reasons I emphasize fatherhood so much and work towards teaching others about the importance of it. The media often gives fathers bad press and the only way we will ever change that standard it by doing the right things as fathers and telling everyone else that we matter.